Keeping your child safe and comfortable while on the walk is always your top priority. When you are planning for a stroll in the park, or you have to run errands to the store, you just can’t leave the child alone in the house even if your older son is home. What you should do is get a good stroller to strap your child in. A car seat or a travel system is also a big help in keeping your child safe in the car or on the streets. Without the proper equipment for your child, your outdoor adventures could turn to disasters. 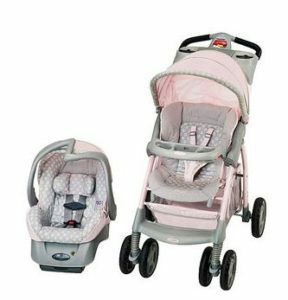 Here are some of the best pink baby strollers you could use. Pick which of them would satisfy your baby’s outdoor needs. Take into mind the comfort of your children aside from safety and protection. 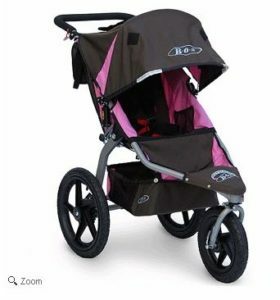 These come in trendy designs as well, so you are sure to have a great time with a stylish stroller. The Summer Infant 3Dlite Convenience Stroller is a very sturdy pushchair that can survive small hits and bumps without tearing apart. From the frame to the fabrics, everything is fixed so it does not tear with use and will last one for long times to come. The seat here is unlike most other strollers. This one actually reclines like that of a car seat to provide the baby with a comfortable position, and eventually puts it to sleep. Unlike most strollers this one has a handle that is slightly higher than your average grocery cart handle. So even if the person pushing the pram is over 6 feet, they will not have to hunch over and do so. This makes it easy for tall dads to push it without excessevely arching their back. This pram is suited for any child under 50lbs, even a newborn. This umbrella stroller fits in small spaces really easily, like the back of a car in a folded manner, while allowing space for other things to be kept as well. The folding mechanism is pretty simple and collapses and unfolds quite easily. It can be done with one hand, and then auto locks itself, so you do not have to worry about its unfolding or folding on its own spontaneously. Under the carriage there is space for storage, which can be used for the baby’s necessities, a cup holder that can also be used to keep the baby’s bottles. It also comes with a flap behind the canopy for the parents. This little space can hold your wallet, phone, keys and other such things. The sun visor is also larger than most regular strollers. Wheels on this pram also run very smooth and does not let the child face friction while moving. The pram itself does not weigh too much, which makes it easy to carry around. Customers loved that they can easily carry this through stairs without trouble. The belts are padded for comfort of the child, and the pads are attached, which is great because if they are not they usually tend to slip off of tear off. What users did not like about this product is that the shoulder pads easily came off, which makes it easy to lose. And that the seats did not have any cushion on it. 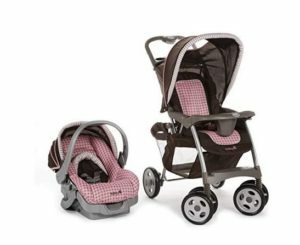 The Baby Trend Expedition Jogger Travel System comes with a Flex lock 5 point harness car seat. This particular feature is lifesaving if your car were to ever get in an accident or hit something really hard.it can protect the baby and keep it safe from outside dangers when used in the car. This feature especially is one that users love about this jogger as it concerns the safety of the child. The frame and build of this stroller is very rigid and robust. The tires here are very easy to move around and gives you a lot of control. They are nicely lubricated so there is no friction or roughness faced when using this. 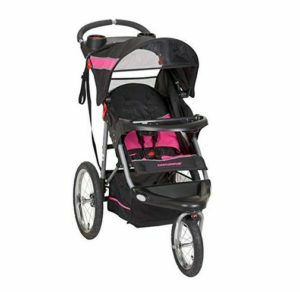 Users who love to jog regularly but have to take their children along with them as well will enjoy this jogging stroller. This is mainly because of the tires which can resist a lot of different types of terrain. Be it glass, gravel or dirt. These tires are similar to bicycle tires and allow you to jog anywhere with your child without having to worry about the baby carriage itself. Assembling this baby carriage is pretty straightforward and simple and does not take up too much time. Looks wise, this has an upgrade from its previous versions and look more unique and uniform because of the similar colors going on inside it. There are no separate colors for the levers and other mechanisms like most others, so overall it looks very uniform and together. Opening and closing this pram can be quickly done with the help of two hooks on the sides of the frame. Simply push them down slightly and the rest will be automatically done. The height of the pushchair itself is right for tall parents. A lot of times parents have trouble pushing the jogger and have to slouch or bend over to do so if they are unusually tall. That is not the case with this one, and parents above 6 feet can easily push this without having to bend over. A few cons of this product include the fact that some users have not liked the car seat base that comes with it as it did not fit their cars properly. Therefore, it is wise to check the size and fit of it before purchase. Other users have faced trouble with the bearing in the front wheels. 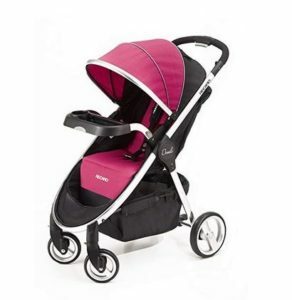 The RECARO Performance Denali Stroller is very to fold and unfold and can be done with one only. This feature is useful for times when you are with your child and you have to either carry on or hold their hands, and make do with only one hand. It is also easy for times when you are on the go and need to quickly open the stroller or close it. There is a removable tray included in this which can be used either for the child’s belongings like an extra air of bottle or shoes; or it can also be used by the parents to safely tuck away their phones, wallets or other necessities. The removable option is helpful because one can simply leave the extra baggage when going out to dinner, and put it back in when going out to other places. The wheels are designed in a manner that they can be used on any type of terrain. The 4 wheel suspension helps it run smoothly on all sorts of terrains without distressing the baby’s ride. This works well in combination with the coupe seat from this very brand. Things users have loved about this baby carriage are its shock absorbing properties. Bumps during a car ride or running on the round are a common occurrence, but this will absorb shock and will not let your child feel a thing. The front holder and mesh pocket in the top can be removed as well if the user wishes to. Removing the mesh pocket allow some to see their child when moving around. There is a backrest that is adjustable, and can be used while sitting up or lying down. There is also an attachable cup holder which too can be used to hold the baby’s bottle. A con of this product that users did not like is that while in the car seat it can get pretty tight on the child, although it is for safety reasons. And it is on the heavier side, so it might not be too easy carrying it around. This is not suitable for newborns, and if one wishes to put a newborn inside it there must be a neck support along with it of some sort, otherwise it is not recommended. The patent tray with cup holders can be used as the child’s bottle holder as well if required. The canopy is big enough to put shade on the child, but one can also see their child while walking with it on. It is also effortless to put together and does not need a lot of fancy tools. Anyone can put this together using the user manual. One of the complaints that people have given is that the tires were too flat and did not support all surfaces and terrains. This problem is mainly due to shipping when some of the air has to be pumped out for safety reasons. It can be brought back to normal by filling them in again. Mia Moda brings you a comfortable and sophisticated baby carriage for your baby’s needs. Going outside with your kid does not have to be difficult anymore. This is the popular solution to all your troubles. 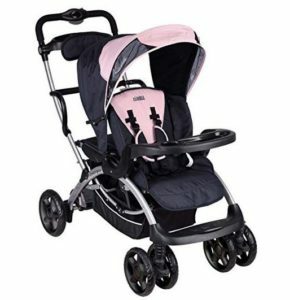 This pram is not available on Amazon and Walmart, so please go to the manufacturer’s website! Wouldn’t anyone want a pram that is easy to push in any terrain? Jogging paths often are unpaved, so it would be too complicated to push the jogger with small wheels. 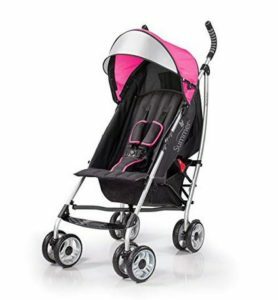 So, get this stroller from Bob and enjoy pushing wherever you go. 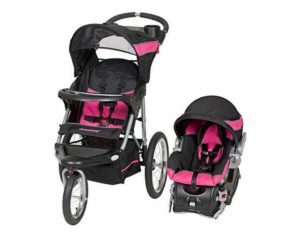 Go around in comfort and style with this travel system. This product has the safety features and modern amenities your child needs while away from home. Strap her in the carriage while you are walking along the streets or in the car seat when you are on the road. Going outside with your kid in tow is a great time to bond. You wouldn’t want to ruin that by dealing with a cumbersume pushchair, do you? Here’s a system that will keep your kid comfortable and safe in the car and on the sidewalks. The Hauck Baby Torro Stroller has recently gained success as a fantastic baby pram in its own right. It has excellent features, such as a large canopy for proper shade, recliner seats in all four sides, footrest that is manageable by the user. 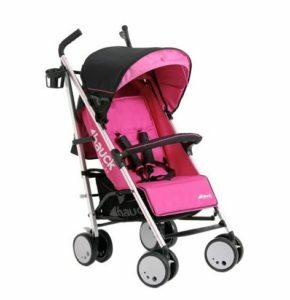 The handles and wheels that allow safe and comfortable strolling, and of course, wheel rotation which lets the pram move at almost any surface. It is quite strong, as the aluminum structure might prove. Finally, it comes with the kid-friendly pink color, which gives it an amiable appearance suitable for children. This push-chair from Hauck is an ‘all in one’ when it comes to baby strollers.